Teeth can be easily cracked or fractured if used incorrectly. The third leading cause of tooth loss is due to cracked and fractured teeth. Children can increase the risk of damaging their teeth and facing costly dental repairs if they decide to use their teeth for anything other than chewing food and eating. You can significantly avoid these risks by teaching your kids that teeth are not tools and they should only be used to chew. We at Smile Reef would like to share some points you can pass to your kids on how teeth are not tools. Functions of Teeth Don’t Include Using Them as Tools! Don’t use teeth to cut into things other than food: Do not let them use their teeth to cut anything other than food. Teeth are scissor, though it is very tempting to use teeth to open a bag, tear tape, or cut a piece of string. 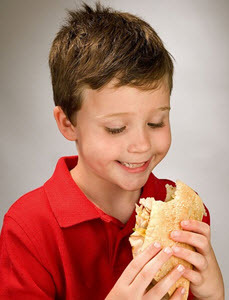 Teeth exposed to harder surfaces that aren’t found in food when you try to cut something other than food with teeth. You need excessive amount of pressure to cut through these things, more so than food and what is needed to chew. The unnecessary stress on teeth can cause them to crack or fracture, which results in a painful dental emergency that needs to be treated ASAP by a dental professional. Holding objects with teeth is dangerous: It’s too easy, and many adults are equally guilty using their teeth to hold things when their hands are especially full. Holding items with your teeth can be especially dangerous. Since you can easily trip and the things in your mat cab cause your kids to sustain oral and facial injuries. Inform your child that they need to be patient and to protect their teeth and face from unnecessary injury from carrying objects in their mouth. Don’t use teeth to crack nuts: Teeth are not strong enough to crack the strong shells nuts are encased in. Trying to do so often leave the tooth cracked or fractured instead of the shell. Teach them to use a metal nutcracker or to avoid them altogether. Opening bottles with teeth can cause damage: Kids often use their teeth to lift the tab of cans or even remove the bottle caps from drinks. Ensure they are taught to never use their teeth. Their teeth will likely crack and it is one of the most traumatic events to happen to a child. At the least, it will scrape the enamel, weakening their teeth. Have them bring it to you so you can open it appropriately. By design, teeth are not indestructible and they are designed to process food. Teach your child about the consequences of using their teeth as tools and how painful the outcome is. Ensure the teeth are for showing off a healthy smile and chewing up food. Make sure they learn at an early age the importance of dental hygiene and routine dental visits as well. When your child requires a routine cleaning, call the experts of Smile Reef. We are experienced, friendly and take care of the children’s comfort and oral care. We will help express and validate the point that teeth are not tools and are only used for chewing. One of the most heart-wrenching things you can hear as a parent is, “Your child has been diagnosed with Type-1 Diabetes”. This is a disease where the pancreas is unable to produce insulin. Insulin is a hormone that controls the amount of sugar found in our blood. Diabetes is unfortunately a disease they will likely have for the rest of their lives. Only 5% of people diagnosed with diabetes will have type 1 where insulin will not allow sugar into the cells, so it builds up in the bloodstream and can cause life threatening complications. Having this disease can lower your ability to fight off infections and will most definitely slow down the healing process. Unfortunately, there are several risks for a child’s oral health due to this disease. Children with type 1 are at a higher risk of tooth decay, periodontal (gum) disease, and other oral health complications and should therefore keep a close eye on their oral health to lower the risk of these oral issues. Controlling blood sugar is an important factor in controlling and preventing various oral health diseases because diabetes contributes to the growth of excess bacteria and plaque buildup in the mouth while lowering the body’s ability to fight back. Tooth decay is also a major problem in juveniles suffering with Type-1. Plaque is a sticky buildup of bacteria that forms in our mouths and feeds on starches and sugars found in the foods we eat, and the drinks we consume. The higher the blood sugar level, the greater supply of sugars for plaque to grow with. When left untreated or not removed daily, plaque turns into tartar which builds up along or under the gum line and it causes irritation to the gums, causing them to become red and inflamed which ultimately leads to gingivitis. Other oral complications are common, in children with Type-1 such as thrush. Thrush is an oral yeast infection and can cause painful white sores on the inside of the mouth, making eating or drinking uncomfortable and will likely require medication to clear it up. Other complications can be frequent oral infections, less saliva production leading to dry mouth, and even children’s teeth erupting at an early age. 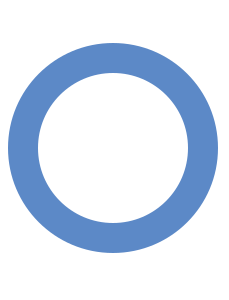 Diabetes can be a difficult disease to fight alone. Having a gentle, caring dentist you and your child can trust will make all the difference in managing and treating the complications that come with fighting back against the effects of type 1 diabetes. Regular dental visits along with brushing teeth twice a day, flossing at least once, using an anticavity rinse, coupled with a balanced diet packed with calcium and vitamin D to support strong bones and teeth and drinking plenty of water, will help tremendously in ensuring quality care of your child’s oral health. 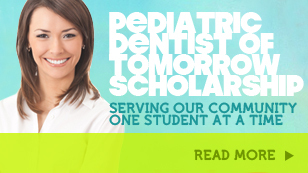 Smile Reef is experienced in all aspects of pediatric oral care and is here to serve all your child’s dental needs!